There is suffering in this world; that is a fact. There is suffering for every being that lives on Earth. But the difference between us humans and most every other being is our need to classify, judge and try to seek meaning of all the events that happen to us and those around us. As we look around in horror at the chaos that surrounds us in the world, we often feel overwhelmed, depressed and helpless. But if we take a look at the natural order of nature, life and the universe around us, we begin to realize that it is sometimes our perception of things that are happening and not the actual events that stir in us these strong emotions. There is suffering in this world; that is a fact. There is suffering for every being that lives on Earth. But the difference between us humans and most every other being is our need to classify, judge and try to seek meaning of all the events that happen to us and those around us. We worry, we get angry and we sometimes seek revenge and foster hate for those who injure us or those we love. What if instead, we do not take anything personally. What if we realize that the fires, the floods, the earthquakes, hurricanes, violence, despair and hatred of others has nothing to do with us, and everything to do with the atmosphere surrounding a living Earth and changes in the Earth herself, and the social atmosphere, upbringing and perceptions of the ones causing suffering? What if, even when others try to make things personal with us, it is instead, their emotions, their perceptions and their frame of mind that is really being made manifest? Could we then begin to accept that suffering is not a judgment from a deity for our sins, or a lack of worthiness on our part? Could we accept that bad things are going to happen in this world no matter our religion, creed, race or social background? (Although I do know that sometimes those very things bring about suffering in their own way). In the natural world catastrophic occurrences are around every corner, each and every day. For instance, America is a meat eating nation, (although that is slowly changing). If we practice any type of mindfulness at all, it is impossible to sit down to a steak and not think of all the suffering—a lifetime of suffering for the animal—that has gone into that piece of meat which will be gone in a little more than five minutes of our life. When you eat fruit or drink wine are you aware of the hard work, often from unauthorized immigrants with little pay and working under harsh conditions, that brought that fruit or wine to your corner market? It’s the same thing with clothing. It matters not the price you’ve paid for your garment or shoes, slave and child labor under abhorrent conditions could be behind each item that you own. It’s very easy to look at the disturbed, selfish and sick people in our society and hold them accountable for their actions against the innocent. But what about the insidious actions that we partake in each and every day that we give very little thought to? In the animal world when one animal is hungry (and carnivorous) another must die so that the one (and others) can live. And even if the predator/prey situation was not present, if one species grows to a larger number than their habitat can sustain, they would die a slow agonizing death of starvation. And natural disasters are far more frequent for the other beings on this planet than with us. We can go and get bottled water if our water supply is cut off. Not true in the animal world. There is often no one to rescue them in times of suffering. They suffer in ways that we most likely cannot imagine from the daily activities of humans; both intentionally and unintentionally. But the difference between humans and animals is simple. Animals do not feel that they are being punished by their maker for the deeds they have or have not done. Animals do not feel pity for themselves. And though they will defend themselves and their companions—especially mothers defending their young—they do not hold grudges or seek for vengeance. They live in the moment and take the pleasures, and pain, as life unfolds around them. Perhaps we could try to be more like the animals and plants of the world and live in harmony with life instead of trying to control it all the time. Perhaps we could stop ruminating constantly on the why and begin to accept and make the best of every situation we face. 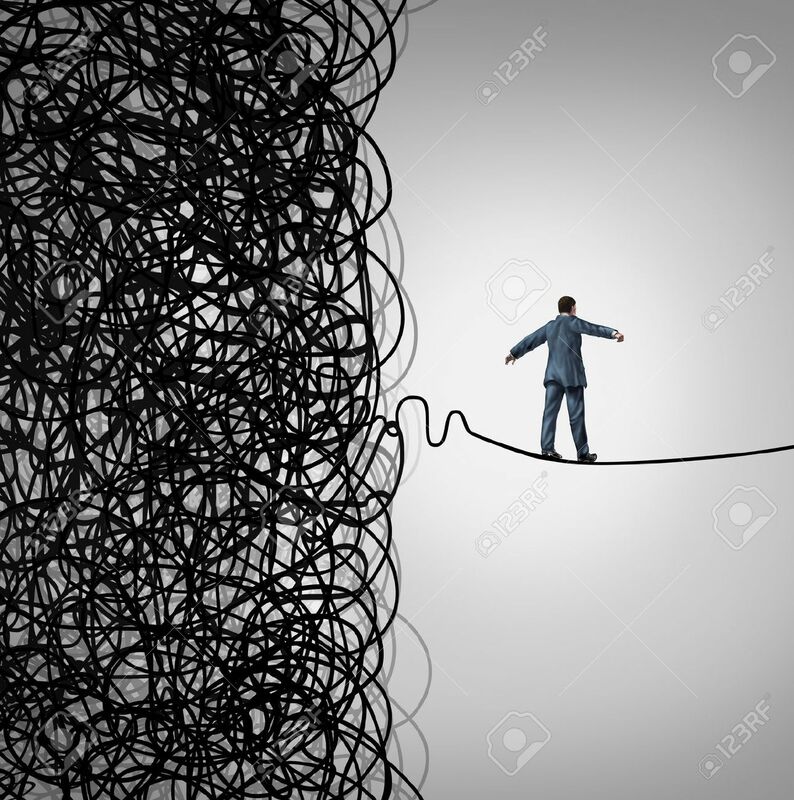 I know this is a rather simplistic view of an intricate and changing world, but sometimes we humans can complicate matters to excess and add more worry and stress to an already stressful situation—for ourselves and for others. Maybe if we try to live with less controlling behavior and act more mindfully, our actions will bring about the creativity and joy from the chaos. Just maybe we can go from a life of violence and strife to a more peaceful world. Sometimes we easily forget in the middle of chaos that there is an amazing amount of good in this world. NextWhat Type of Meditation Did Bodhidharma Practice?